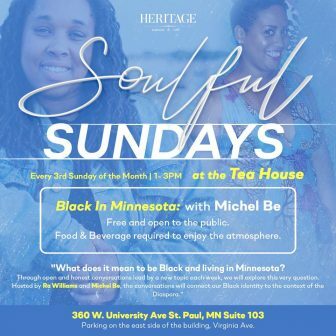 We all have these conversations: We talk to our family, friends, Black co-workers, and social and cultural groups about what it means, feels, and is like to be Black in Minnesota. Let’s come together and have the conversation full circle. Let’s discuss what it means for us a cultural group, as women, as men, as a family unit, as a community. Let’s discuss all that we have in the dark in the light with our brothers and sisters. Let’s have the conversation! This event is free and open to the public. We ask that cultural groups outside of African, African American, and Afro-Latino diaspora participate buy LISTENING ONLY.